When the church was planted, they began meeting under a mango tree. Later they made a church building from sticks. The roof was made of cardboard and plastic sheets. “Christian and non-believers used to mock us as they passed by: “they trust God, let him build them a proper church?” says Bishop David Ngona the pastor of Christian Kings, a Jubilee Centre (JC) network church in the Kawama community in Ndola. Christian Kings is one of nine churches that received rehabilitation and building grants from JC this past year. With support from Willow Creek and Ridgepoint Community church in the USA, Christian Kings has built a proper church infrastructure that will seat three hundred people when completed. Bishop Ng’ona and his leaders, who have been trained in Integral Mission by Jubilee Centre, are seeing the fruit of their faithfulness. Today they have 200 children in their AWANA program, 25 youth in “It Takes Courage” – a JC program focusing on developing biblical character and vision in Zambia’s youth. The church has a feeding program for 60 vulnerable children on TB and HIV treatment. The church has grown from 60 to 180 in the past year!! “We used to think the Lord had forsaken us because as we prayed we felt He was distant and silent” said Bishop Ngona. But today God has heard their cry to be a church that envisions their community for a better future. Soon they will have a Living Water Treatment System that will provide clean and safe drinking water to over 600 families. They have a vegetable garden to help provide fresh vegetables for People Living with HIV and AIDS in the community. Without quality education, the orphans and vulnerable children (OVC) of Zambia have little hope. 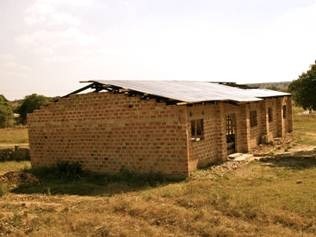 Many churches within the Jubilee Centre network have realized this and therefore have started community schools which cater to the education needs of their communities for children who cannot get into government school because of poverty. 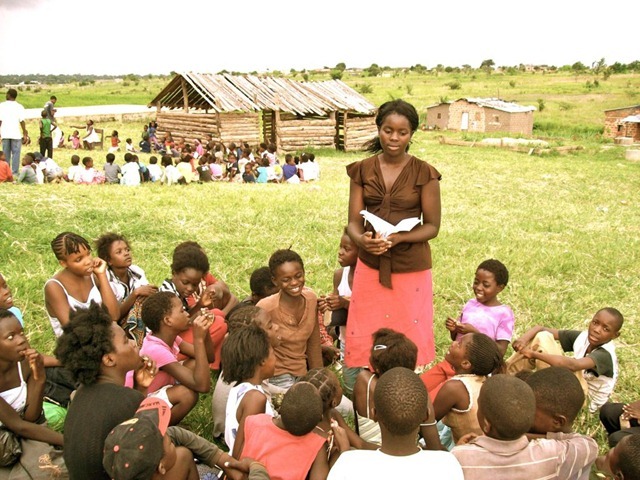 Because OVCs cannot afford to go to government schools, many times community schools provide the sole educational opportunity for poor children in Zambia. To help support the ministry of the churches within this context, the Jubilee Centre developed a teacher-training program to train community school teachers. Before the start of the program, most of these teachers were untrained but highly motivated. Because many churches in the Mapalo Compound operate community schools, Jubilee Centre decided to start a pilot program by training 12 community school teachers in that compound. The goal of the program was to develop essential skills and mindsets and educational “best practices” of effective teachers. Before the training, the teachers struggled writing lesson plans, focused on rote memorization, did not differentiate instructions, and did not teach critical thinking skills. After completing the program though, the teachers have demonstrated the ability to be developmentally appropriate, write proper long-term and daily lesson plans, teach in small groups, and use games and other experiential learning techniques to teach in their classroom. 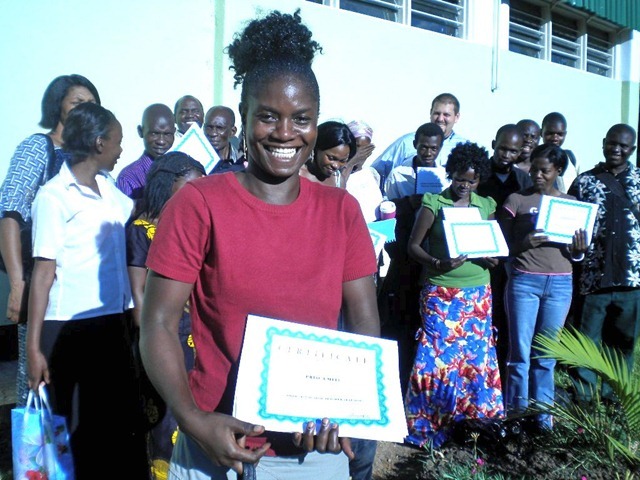 After seven months of training and mentorship, on April 1st 2010 the community school teachers in Mapalo held a graduation ceremony to commemorate the completion of the program. 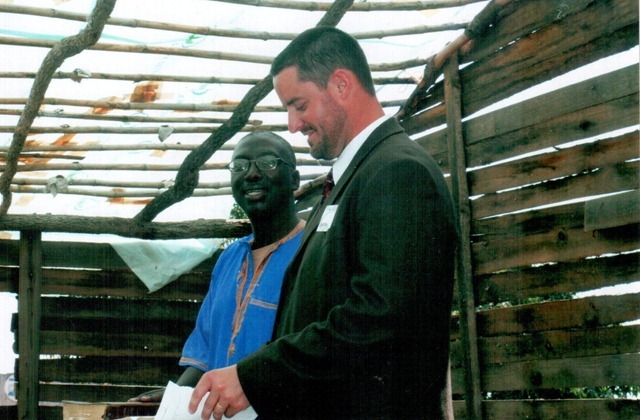 The ceremony was held at the recently built JC resource centre. Photo: Prisca Miti a community school teacher at the graduation Ceremony at Jubilee Centre. This program will not stop with the teachers of Mapalo though as many of the teachers trained in Mapalo will now be charged with training other community school teachers in the area. With these new attitudes and teaching practices in place, the Jubilee Centre looks forward to continue helping the churches within the network provide a high quality education for the poor children of their communities. Pastor Bernard Chimuna senior pastor of Fountain of Life Christian Centre in Mapalo has planted five churches in Ndola rural in the last eight months. After attending the JC Transformational Journey workshop last year in September he went back to church and reconstituted the leadership team at church that gave him free time to do what he loves to do-church planting. But he faced a challenge because his church does not support him financially. However, through the grant support he received from JC his wife was able to invest the money by selling merchandise at the local market. Through the profits his wife is making they are able to provide for the family and support him with transport money for his ministry. 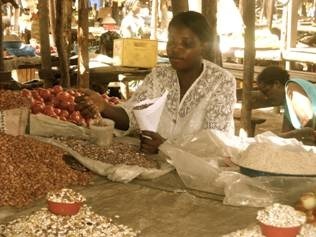 Photo: Exildah Chimuna selling at the local market in Mapalo – Ndola. For the remaining 4 hours Bill answered impromptu questions on leadership and church life. A variety of questions were raised: How do I deal with difficult/divisive team members? How to select a senior leadership team? How do we move people from attending church to being committed Christians? What role do you think prophecy has in the leadership selection process? “Bill did a remarkable job answering very diverse questions coming from contexts as diverse as the questions themselves” Said Rev. Namatama of Pentecostal Holiness Church in Lusaka. 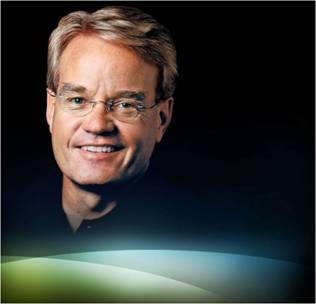 Bill’s message inspired and convicted us to go deeper in our walk with Christ and to develop our gifts and abilities that it might be said of us, as it was of Jesus, “He has done everything well”. Fifty pastors from the Jubilee Centre Network attended. Part of Jubilee Centre’s mission is to envision and equip church leaders in the biblical responsibility to serve their community. Two years ago, a relatively humble group of 30 church and community leaders in the JC network attended a workshop in Chibuluma hosted by Micah Challenge on the Millennium Development Goals (MDGs). As the workshop progressed, the leaders were reminded that their expression of concern for the issues related to the MDGs in their community was a demonstration of their mandate to be “salt and light” and a commitment to help Zambia return to God’s standard of justice, mercy and righteousness. By the end of the workshop however, the participants were helped to understand “power” from a biblical perspective. All of a sudden their eyes were opened up and were able to see that as Christian leaders they had options open to them for engaging with the powers: prayer, speaking out prophetically, and mobilizing capacity of the whole church, raising awareness and networking with other groups on issues of justice. In the end they settled to write a letter to Ministry of Health requesting that the government build a maternity ward and increase staffing. Though fearful, that the government may see their action as political reaction rather that a genuine concern by the community for better health services, they took a step of faith and wrote the letter anyway. The result was incredible! The government responded favourably by funding the construction to extend the clinic to a mini-hospital consisting of a delivery room, waiting room, out-patient room, shower rooms, toilets and a maternity ward with ten beds. 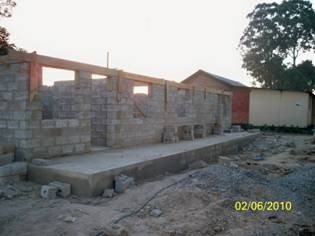 In addition two staff houses are being built. The churches in Chibuluma are unstoppable. The community knows that the witness of Christ’s church in Chibuluma involves being right with God as well as taking a stand on social issues. The church knows that to be effective and to bring real hope in the community requires a tension of faith with works, evangelism with social action and leadership with servanthood. Yes she has every reason to smile and laugh aloud. Beautiful Charity, a 21 year old, has been head of the family of three for five years and is also living with HIV. was bedridden with no elder person to take care of her. As a result, Charity and her siblings began a life of dependence on whoever felt pity for them. By the grace of God, Grace Sikutu, home based care (HBC) coordinator for Mapalo, and a pastor of Nkwazi Bread of Life Church discovered the plight of Charity’s family in her door to door evangelism. 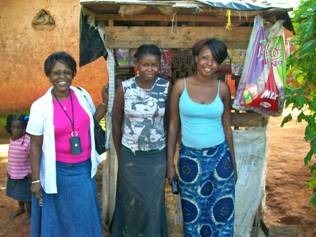 Photo: Martha Temfwe, Charity’s young sister and Charity at her shop in Mapalo. Grace became Charity’s treatment supporter and put Charity on a high-energy protein supplement (HEPS). She was given porridge made from HEPS everyday and within one month Charity began to respond to treatment and was able to do a number of house chores without help. Charity continued to receive care, support and encouragement from the volunteers and the church. Later in the year she was among the 12 child-headed households who received grants of K500, 000 each to do some income generating business for their families. There was jubilation and fun when over a 100 sponsored children from Chifubu, Kawama, and Mapalo came together to have fun. The children were taught how to write letters to their sponsors and how to remain focused for them to reach their goals. They had time to play different games, had a dancing competition, cited poems and memory verses, played on the jumping castle, played volleyball and soccer, and had a great meal. The children shared testimonies about how the support was making a difference in their lives. They also shared experiences that they were facing. Odiria Kasambala, a double orphan who is completing her high school at Temweni this year stated, “I lost my parents when I was a child but God has provided parents who have helped me look stunning. I am grateful to my sponsors Roger & Esther Bosch, who have faithfully sent support for me each month that has made sure I am in school with every requirement and provided with food for the family and Jubilee Centre for the encouragement to keep focused on my education, thereby reaching grade 12 today. I give God all the glory.” Odiria is a committed member of the praise team and Sunday school teacher at New Hope Christian Centre. Photo: Odiria Kasambala teaching the AWANA program at New Hope Christian Centre. · Praise God for the partnership with Living Water Mission that will enable us put Domestic Water Treatment System in six locations. Pray for deepened faith for Jubilee Centre (JC) staff as the world goes through economic recession. Pray that Jubilee Centre acquire a large piece of land on which to build a multi purpose complex which will consist of a farm, guest house facilities and conference facilities. We are praying for 2 vehicles to meet ministry needs as work grows. USA: Please send tax-deductible checks to Jubilee Centre, c/o Dr Bryan Boatwright MD, 2704 Hartlee Ct, Denton, Texas 76208. Within Zambia: Please send cheques and money to us at the address below.